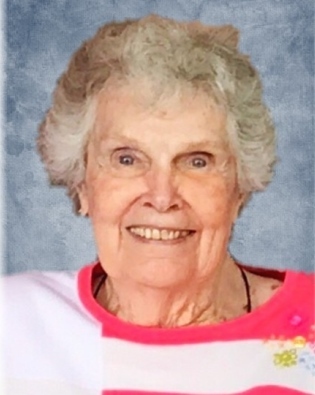 Martha E. Stemm, 86, of Zanesville passed away at 12:25 A.M. Thursday, January 24, 2019 at the Primrose Retirement Community. She was born on Thursday, October 20, 1932 in Zanesville, Ohio the daughter of the late Ernest and Margaret Deitrick Thomas. Martha was a lifelong member of First Christian Church. She worked as an administrative secretary at Cooper Industries, also worked at Rambo Health Center, and YWCA. She enjoyed spending time with her grandchildren and great grandchildren. She is survived by three sons, Craig (Karen) Stemm, Chris (Cathy) Stemm, and Brian (Loa) Stemm; seven grandchildren, Erin (Jimmie Fout) Stemm, Patrick (Heidi) Stemm, Christopher (Michelle) Stemm, Betsy (Tony) Mohler, Curtis (Lauren) Stemm, Kelly (Kenny) Phillips, and Ellen (Dylan) Stemm; nine great grandchildren; a sister, Shirley Smith; and several nieces and nephews. In addition to her parents, Martha was preceded in death by her husband, Pete Stemm; a sister Virginia Mattingly; and two brothers, Larry Thomas and William Thomas. Friends may call 11:00 A.M. to 1:30P.M. on Saturday, January 26, 2019 at the Bryan and Hardwick Funeral Home where funeral service will be held at 1:30 P.M. with Rev. Dawn Remster officiating. Burial will conclude at the Zanesville Memorial Park. Memorial contributions can be made in Martha’s name to First Christian Church. The Bryan & Hardwick Funeral Home, 2318 Maple Ave. Zanesville is in charge of the arrangements. To share memories and condolences with Martha’s family please click the Tribute Wall tab on this page.